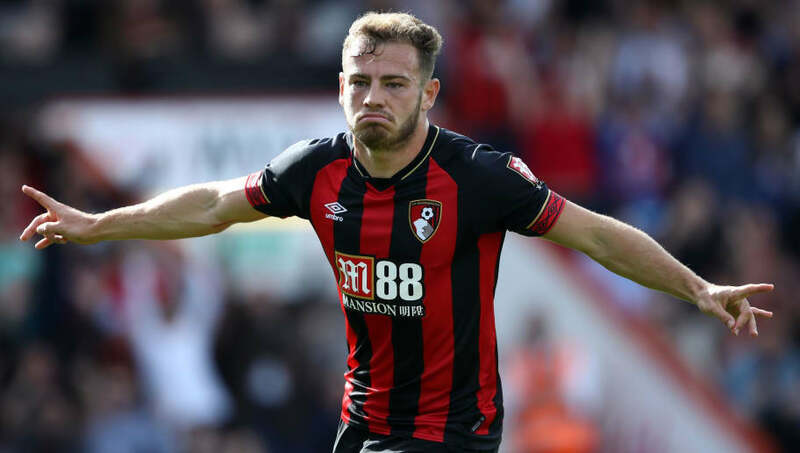 ​Bournemouth manager Eddie Howe has admitted there are no guarantees that Ryan Fraser will agree to a new deal at the Vitality Stadium amid interest from Premier League rivals Arsenal. Fraser, 25, has enjoyed a fabulous season for the Cherries, recording ten league assists this campaign, with only Eden Hazard (12) and Christian Eriksen (11) laying on more goals for team-mates throughout the season. The Scot has also scored six goals of his own. The winger's performances haven't gone unnoticed, as ​the Gunners have been linked with a summer move for the Scotland international, whose contract on the south coast expires in 2020, with Howe admitting the club will have to 'wait and see' if Fraser, ​who is flattered by the links to Arsenal, signs a new deal. As quoted by ​The Mirror, he said: "We have spoken to Ryan and his representatives about his contract. It is one where we will see what happens. Fraser's displays this season have helped ​Bournemouth accumulate 38 points, which could become 41 points with victory over Burnley and see them just five points equalling their best ever points tally in the ​Premier League of 46 points set in 2016/17, although Howe has insisted that simply reaffirming their status in England's top-flight is a mark of success for the club. He added: "I don’t consider ourselves established. The minute you do that that is when difficulties can arise and we still need to finish this season off and consolidate our position again. Every year we do that has to be considered a success."